Emma Mitchell is a popular naturalist, designer-maker and illustrator. She has a monthly column in BBC Countryfile magazine and is one of the Guardian’s Country Diarists. Her first book, Making Winter, was published to outstanding praise. She has also featured on the BBC’s Countryfile and Radio 4’s Woman’s Hour, and has written for a number of publications, including Country Living, Breathe and Mollie Makes. 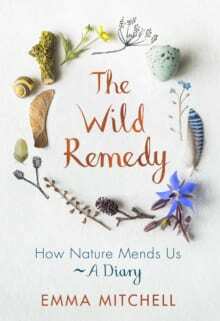 In 2019 Emma will contribute to an anthology of nature writing by female authors called Women on Nature, edited by Katharine Norbury. Emma lives on the edge of the Fens in Eastern England with her husband, two daughters and Annie their lurcher. She records her daily nature finds with photographs and illustrations on her Instagram (@silverpebble2), which has over 100,000 followers.